Healing Waters Lodge is an Orvis endorsed fly fishing lodge with a stellar reputation and we are also the largest fly fishing outfitter on Montana’s coveted, Smith River. Mike Geary continues to successfully own and operate, Lewis & Clark Expeditions, for over 25 years. Our Smith River fly fishing float trip is 59 river miles and takes five days and four nights and embodies everything anglers love about fly fishing and Montana. It has incredible beauty, it breathes adventure and like religion, it is both mysterious and eternal. 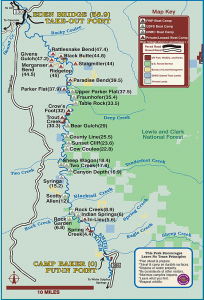 The Smith River is floatable May through the beginning of July. The Smith is whimsical but its virtues always exceed its vices. For more information, please contact Mike Geary, 406-459-2030.